Come to Essex for a country holiday if you can keep up with the fun. A thought of a holiday in the country either sends people into raptures or generates feelings of dread depending on your view of staying in a peaceful place with few people around. This is where a cottage breaks in Essex excels on every level. The only thing missing in Essex is hills but that can be a bonus if you hope to fit in a bike ride or two. There are some incredibly pretty villages in Essex surrounded by pretty countryside. 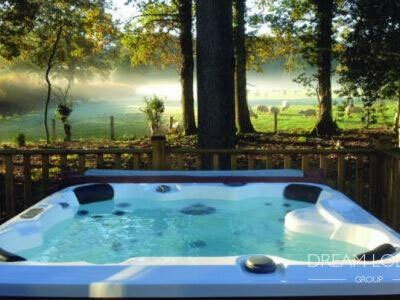 Book a holiday home in an Essex village or close to one and you will have the time of your life. Essex is all about an eclectic mix of shopping, lunching, wine tasting, real ale, coastal activities, great places to visit and new experiences. It is a county that has a huge number of activities on offer for all ages. It is where rural meets fun and holidaymakers have a great time. Take the extended family on holiday to Essex and children, parents and grandparents will enjoy a wonderful time together. There are ancient villages in Essex that have pastel-coloured picture-book thatched cottages around a village green. There may even be a duckpond, but if you are in search of a busy and lively few days away then new town of South Woodham Ferrers may be ideal. The new town of South Woodham Ferrers was built in the 1970s beside the River Crouch on fens and former farmland. It remains encircled by countryside and salt marshes that naturalists and photographers drool over. Beautifully designed, the town is worth visiting just to admire the thought and artistry that went into its creation. 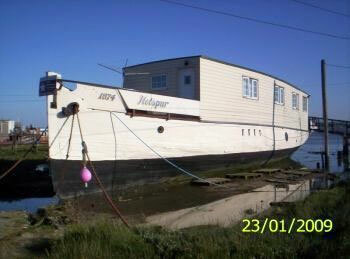 People taking weekend breaks or a week somewhere different could be attracted by the river Crouch and sailing. It is a place that you can bring your dog to and walk for miles alongside the river. Eating out is a joy because of the sheer number of restaurants in the town centre; Indian, Chinese, Thai, traditional British – it’s all there. Fine dining and high-class Italian are in neighbouring villages just a ten-minute drive away. The March Farm Animal Park beside the river is one place where families can enjoy a day out that is centred around young children and also offers country walks for grandparents. Alternatively, visit the Tropical Wings small zoo and butterfly farm on the northwest side of town and perhaps watch a bird show in the summer. A two or three mile drive out of town towards East Hanningfield leads to RHS Hyde hall, where there is a playground and craft activities for children, treasure trails, a tea shop and splendid extensive gardens. The grandparents would especially appreciate this attraction because assistance is on hand to drive people with walking difficulties up one of the rare hills that exists in Essex, so that they can get to the Australia Garden and lake at the top. All roads from South Woodham Ferrers lead to shopping. 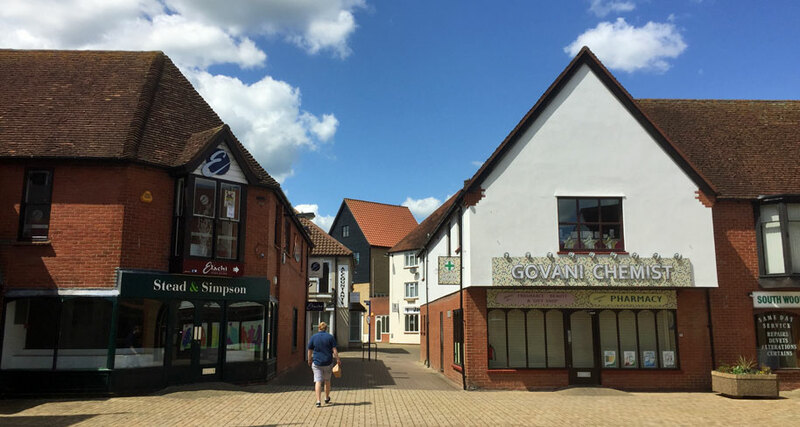 The sprawling mass of shops that is Lakeside is about half an hour’s drive away, Basildon, Maldon, Chelmsford and Southend-on-Sea are closer. The great aspect of visiting Southend is the beach, the promenade and as far as children are concerned, Adventure Island fairground and entertainment centre. Southend still has the longest pier in the world and the there is a train that ferries passengers along it. Grandparents could wave to the rest of the family as they pass them on the pier. Each of the towns mentioned have ten pin bowling, parks, theatres, museums and interesting things to do and see. The train from South Woodham Ferrers joins the Southend Victoria-Liverpool Street London line via Wickford. Days out in London are easily achievable. Another way of getting to London is by boat; catch the Pocohontas at Tilbury and enjoy a guided tour of the Thames all the way to Greenwich. There is simply so much to do and see if you booked a place to stay in South Woodham Ferrers or even another village nearby. 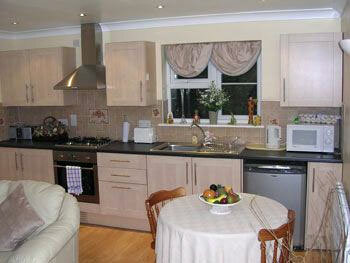 Find a holiday let nearer Colchester in north Essex if you are attracted by history. Colchester, as its name signifies, was a former Roman town. There are still Romain remains. The castle is a museum and again, is a place that would enthral all ages. The town centre is busy and bustling. A network of narrow lanes is part of the centre and has lots of curious shops to browse in. Colchester Zoo offers a brilliant day out. Young children would have great fun at Colchester Leisure world and the swimming pool with flumes. The sandy beaches of Clacton, Frinton and Walton-on-the-Naze are not far from Colchester and again, a day at the seaside suits every generation. A little north of Colchester is Dedham Vale, famous because of the English landscape painter, John Constable. The whole family could go rowing on the river at Flatford Mill and the national Trust tea shop there makes the trip worthwhile simply for the huge scones and delicious cakes. 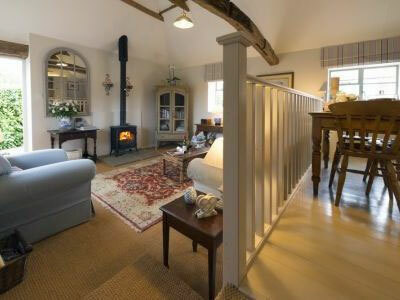 Do come and rent a holiday cottage in Essex for an exciting country break. Essex is where ‘townies’ learn to love the countryside. If you are considering a self catering holiday for the very first time, take a look at the advantages of self catering holidays over a hotel stay. Essex is a patchwork of towns surrounded by lovely countryside with greater density of population to the south nearer London. There are eateries galore in Essex, also atmospheric ancient inns and good country pubs.